People who love dogs and have strong desires of keeping their pet dogs healthy and fit should know everything about the 10 most intriguing new dog products. Dog products are supposed to be fun and exciting because these products are the ones that cannot be thought of by the common pet owners. The Petmate zip bed is a wonderful dog product that shuns the requirement of lugging around with unwieldy and heavy pet beds. This dog bed is super comfy, durable and soft and the best thing about it is that it can be zipped up when the bed is not being utilized. It also comes with handles that make it very easy for the people to carry the bed. Launch toys for dogs are great toys that are called long shots. Longshots is an assimilation of toy and launcher that can launch as high as 70 feet. This game is made by the use of ballistic nylon that is water resistant and at the same time it is fun and even durable. If you want to remain aware of the activities that your dog does after you are out of the house, you can use this Petcam from Samsung that gives you a very clear view of whether your dog is sleeping, watching television, eating or stealing while you are out. It works in the form of a wireless video along with a monitor that can be set up at any place within the house. A smart phone or laptop can be used for accessing the videos. The Ruffleash is super functional and can work as the perfect solution for dogs that have the habit of pulling. The leash consists of a flexible, shock absorbing and resistant polyurethane spring that is very easy to handle. LicketyStik is not a new name in providing licakable treats for dogs but it has come up with its new version of treats that are available in bottles that are very easy to dispense. These bottles also help in measuring the amount of the treat that would be enough for the dog. These gel treats are available in five different flavors and they are healthy for the dog. There is nothing new about dog toothbrushes. But dog toothbrushes that work by the use of electricity are completely new and unique. The dog toothbrushes available at Zututh Breeze come with ergonomic cover at the handles and a head that is Z-shaped that helps in reducing the time that is required to brush the teeth of the dog. These toys are known as security scents because they smell like the owners of the dogs and therefore the dogs feel secured playing with these toys. These toys come with pockets that can be used by the owner for inserting pieces of clothes that they usually wear. The auto grass from Kurgo is basically a mat made out of plastic and it has been made in such a way that it fits the center console of the front seat in a car. This mat serves as an option that can be used to avoid curious noses and paws coming in while a person drives. Dogs are adaptable but sometimes they require help. Tracerz work as scent markers and are useful for blind dogs that can use tracerz to know their environment. Tracerz are usually made of essential oils that distinguish them from the other household items. Modapet bowls are made by the use of grade polymer and these bowls are dishwasher and microwave resistant. These bowls are also free from BPA. They are non-slippery and durable with a curved rim and are loved by dogs. 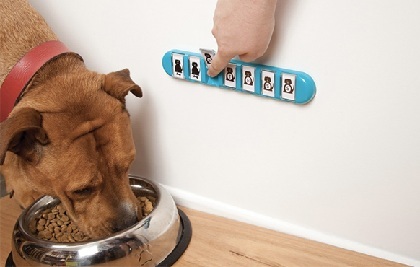 These are the 10 most intriguing new dog products that are worth purchasing because of their features and uses.